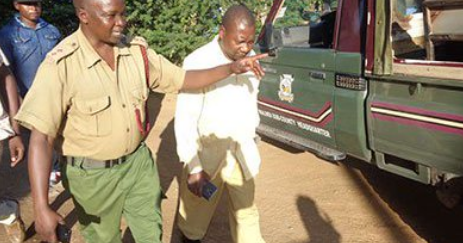 Saturday, April 13, 2019- Malindi based preacher, Paul Mackenzie, has been arrested for urging Kenyans to boycott registering the newly launched Huduma Namba. During his recent sermon on his Times TV, dubbed ‘End Times’, Mackenzie warned Kenyans against registering for the Huduma Namba saying that it is satanic. He likened the Huduma Namba to the apocalyptic beast bearing the mark of number 666. Detectives raided his Good News International Church in Malindi and confiscated cameras computers and DVDs. He faces among other charges, religious radicalization, failing to provide basic education to his three children and offering basic education in an unregistered school at Good News International Church. Huduma Namba was launched by President Uhuru Kenyatta on April 2, and it is aimed at reducing the burden of citizens carrying multiple documents. It contains an individual’s ID, KRA personal identification number, driving licence, passport, NHIF and NSSF. People perish for lack of knowledge, so says the Word in the Holy writs. But it seems some pastors are scare mongers in the matter contained in Revelations. It is very clearly stated that the mark of the beast shall be either in the right hand or forehead and this is where the Word explicitly warns believers not to take that mark of the beast at the time required to be inserted or marked in the body. Huduma Namba may eventually reach that point where we shall be required to be marked in our bodies as prescribed in the Word; and that in my humble view is the time when believers shall be required NOT to take it in their bodies. For now it is a logically good thing to manage affairs of state.